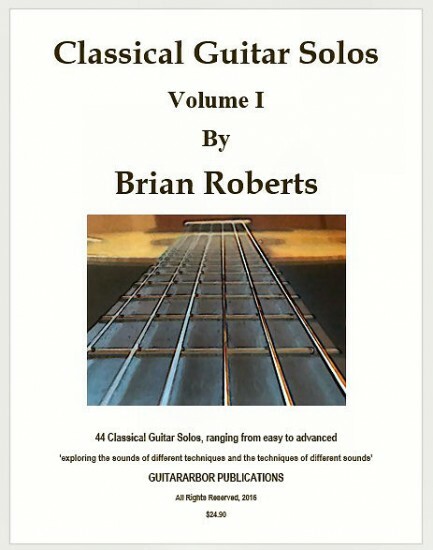 The 44 pieces in this book constitute the most played pieces composed by Brian Roberts. They run from easy to advanced. The solos are highly fingered to enhance and help create particular musical phrasings, articulations, textures, sounds, and characters, while taking ease and success of playing into account. Roberts has been teaching and performing since 1972, after having studied at the National Akadamie of Music in Vienna, Austria. He is currently a professor of guitar at Wayne State University in Detroit and the University of Michigan-Dearborn, in addition to maintaining a private studio in Ann Arbor. Enjoy a sample piece played by Gohar Vardanyan in the video below. Good service, easy to order and fast delivery.